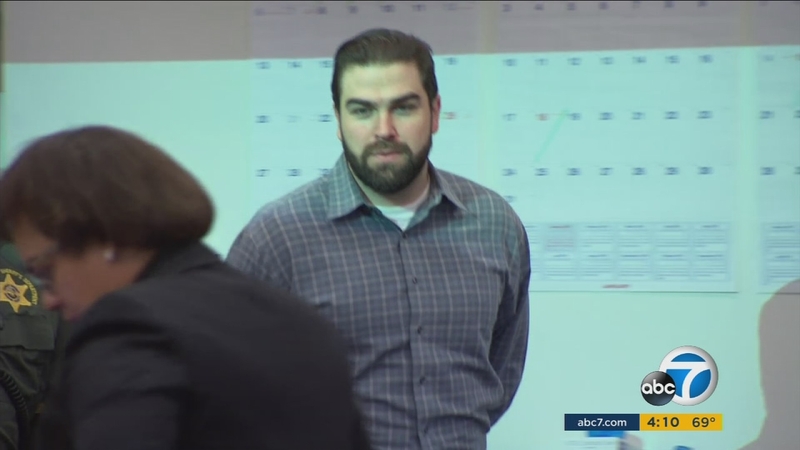 SANTA ANA, Calif. -- Daniel Wozniak, an Orange County actor, has been convicted of first-degree murder and now faces a possible death sentence. Wozniak, 31, was found guilty of killing his neighbor, 26-year-old Army veteran Sam Herr, and Herr's friend Juri "Julie" Kibuishi. Jurors heard how Wozniak allegedly lured Herr to a theater attic at the Los Alamitos Joint Forces Base on May 21, 2010. "Sam knelt down and Daniel Wozniak pulled out his father's Llama .380 automatic pistol. He aimed it and shot Sam in the head," prosecutor Matt Murphy told jurors. Prosecutors said the first shot did not kill him, so Wozniak fired a second shot into the side of Herr's head. He then allegedly took Herr's wallet and phone. Wozniak then beheaded Herr and left his body parts at El Dorado Nature Center in Long Beach, according to officials. Prosecutors said Wozniak's plan included using Herr's cellphone to lure a woman to Herr's apartment. Authorities said Wozniak texted Kibuishi, 23, pretending to be Herr, telling her he needed to talk. Kibuishi arrived at Herr's Costa Mesa apartment around midnight. Officials said Wozniak lured her into Herr's bedroom, telling her to look at something on the bed. "He pulls out the same gun, and he aims at her head and he shoots her twice and kills her," Murphy said. Prosecutors said Wozniak staged the area, ripping down her pants to make it look like Herr sexually assaulted and killed her to throw police off the trail. The murders were part of a plan to solve money problems, according to prosecutors. Wozniak had no paying job and was facing eviction. "He needs money for bills, he needs money for overdrawn bank accounts, and he's getting married in a week and a half," Murphy said. Wozniak, a local community theater actor, performed on stage as the lead in a musical the night of the murders. He was engaged to a fellow actor Rachel Buffett. They were supposed to be married May 28, 2010. Following his conviction, Wozniak now faces a possible death sentence, which prosecutors are asking for.